Tanzania’s oldest national park is also its most popular. The vast and incredible Serengeti, located in Northern Tanzania, has been named a UNESCO World Heritage Site and is often said to be home to “the seventh wonder of the world”. For those who have experienced the Serengeti beauty and the migration, it’s easy to see why. The Serengeti is inarguably Tanzania’s best national park when it comes to wildlife; abundant with our planet’s most exotic animals (including elephants, giraffes, leopards, lions and buffalo), a visit to the Serengeti is nothing short of a magical experience. But what the park is undoubtedly best known for is the annual wildebeest migration. Visitors can witness the sound and sight of over six million wildebeest, zebra and gazelle scampering through the open plains in a hurry to find food and grazing, providing one of the most exhilarating game viewing experiences in the whole of Africa. If you’re looking for a magical destination for your next African safari, Tanzania and Serengeti National Park can offer you a trip of a lifetime. Read on for our ultimate guide to getting the best out of Tanzania’s most impressive ecosystem. The Serengeti is one of the most exciting national parks to visit in Africa. It’s complex and remarkable biome of animals, wildlife and vegetation is truly fascinating. 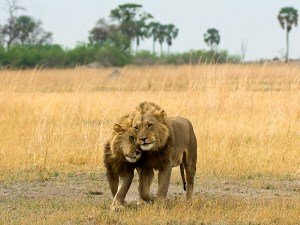 Here are 7 interesting facts which you may not have known about Tanzania and the Serengeti. The Serengeti National Park ecosystem is the oldest known ecosystem on earth, and, as a result it is home to the most unique wildlife and vegetation that can’t be found anywhere else. The Serengeti National Park plays host to one of the most spectacular sights in the world; when over six million animals cross the Mara River in synchronisation to search for new pastures. Not all animals will survive the migration as the Mara River is home to African crocodiles and other carnivore species which will attack the migrating wildebeest, zebra and gazelle. The national park is so well preserved that its ecosystem has changed very little, even after more than 1 million years. The Ol Doinyo Lengai (AKA “Mountain of the Gods”) is an active volcano within the park and its last recorded eruption was in 2007. The Massai are just one of the many tribes within the Maa community and they still practice ancient rituals to this day. Serengeti National Park is one of the cheapest parks to visit in the country of Tanzania. The entrance fee is very affordable and you will get great value for money in terms of game viewing and wildlife spotting. The Great Migration is one of the wonderful and exhilarating things to witness; it’s the largest mammal migration on earth and you won’t see anything else like it in the world. 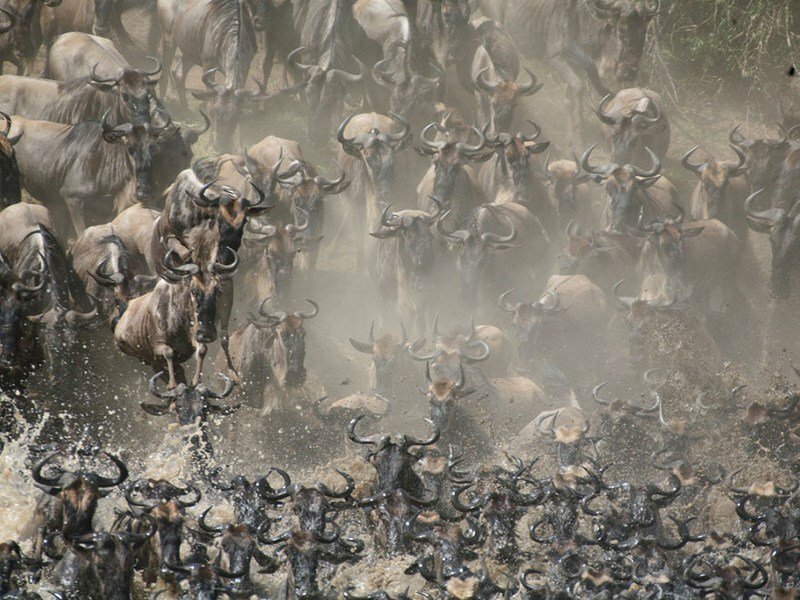 The Great Migration, often cited as “the seventh wonder of the world” makes it onto the bucket lists of many travellers and holiday makers and once you’ve witnessed it for yourself, you’ll understand why. For those who go on safari for game viewing, this is the ultimate game viewing opportunity – and in a way that you will never have experienced before. As the annual rain arrives in the first months of the year, the national park is a great place to be for calving season. But by March and April, the plains start to dry out and Tanzania enters into the dry season. Animals are forced to move North in order to search for greener pastures and this year-long movement that we call “The Great Migration” provides an interesting spectacle for safari goers. 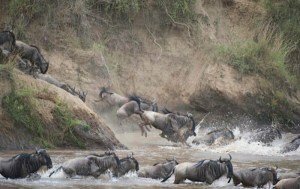 By June / July, the herd of over six million wildebeest (and also zebra and gazelle) start to cross the famous Mara River. Here the crocodile infested waters create an obstacle for the migration and game viewers can witness one of the most incredible acts of nature as the survival of the fittest comes into play. From October, the heard slowly starts to make its way back down South passing the Central Plains and the area of Lobo, all the way down to the Ngorongoro Conservation area before heading back to the Mbalageti River for the wet months of January and February. 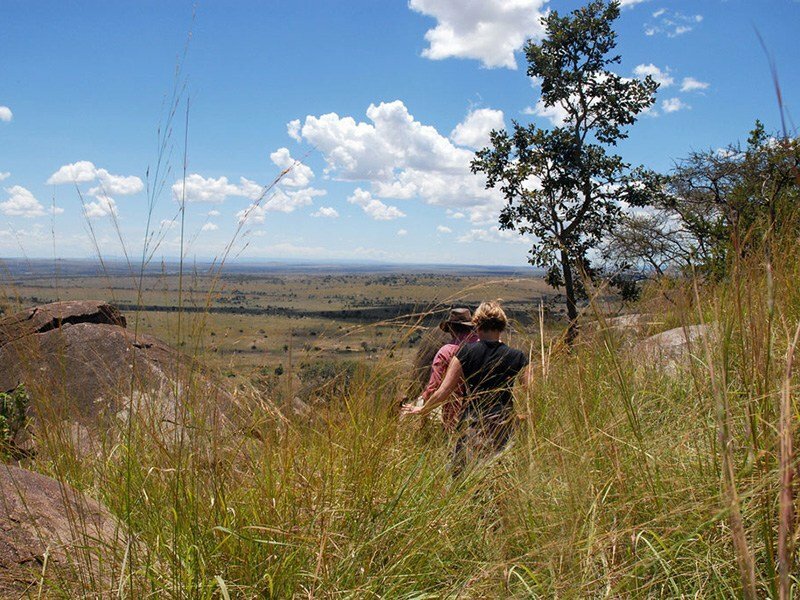 The Serengeti is a place of many landscapes, all depending on what time of year you visit; the climate and its wildlife can change dramatically, shaping the nature of your trip. Here is a guide to the different months and seasons to visit. January and February are a part of the year’s wet season so the vegetation will be lush, and the mornings and evenings can get quite cold. This is the best time to see the calving in Serengeti’s southern regions. You will have a good chance of spotting most wildlife, including birds. There’s a high chance of rain and humidity as temperatures remain hot during the day – but please bring warm clothing for the evenings when temperatures are expected to drop. From March to May, you will experience the back end of the wet season and game viewing opportunities may not be as rich as the other months. Due to it being the wet season, the scenery will be incredible and you can count on the vegetation being at its most lush and beautiful. This is the low season for game viewing but you should still be able to spot many different species, including migratory birds. March to May is the peak of the wet season so expect high rainfall and extreme humidity, with average high temperatures at over 26°C. June to October is prime time to visit the park if you want the best chances of viewing game and also the best weather conditions. This is the dry season so animals will be much easier to spot. With the dry weather, you can expect to find various animals gathering at watering holes, rivers and streams. From June onwards, the Great Migration moves northwards, and in July you can witness the crossing of the Mara River. The weather is mainly hot and dry, with highs of 30°C and temperature lows of around 14°C. With the temperature drop at night, it’s important to bring warm and cool clothing alike. From November onwards, the Serengeti park sees the start of the wet season, so there will be a dramatic change in climate and landscape from September and October. The wildebeest move back South from the Great Migration and although there are no exact routes, you may be able to spot them on the Eastern side of the park as they rotate back round. You will also have a high chance to spotting migratory birds during these months. Expect some rainfall and warm to hot temperatures. The rainy spells will be relatively short and are unlikely to interfere with your safari plans. The Serengeti is a vast national park with land stretching almost 9,200 square miles! It’s impossible to experience the entirety of the Serengeti in one visit so we’ve created a detailed breakdown of the different regions to help you plan your journey. There are four distinct areas and each will offer something utterly unique and amazing. Central Serengeti and the Seronera River Valley is one of the more popular regions of the Serengeti, due to the fact that it’s a great region to visit any time of year. 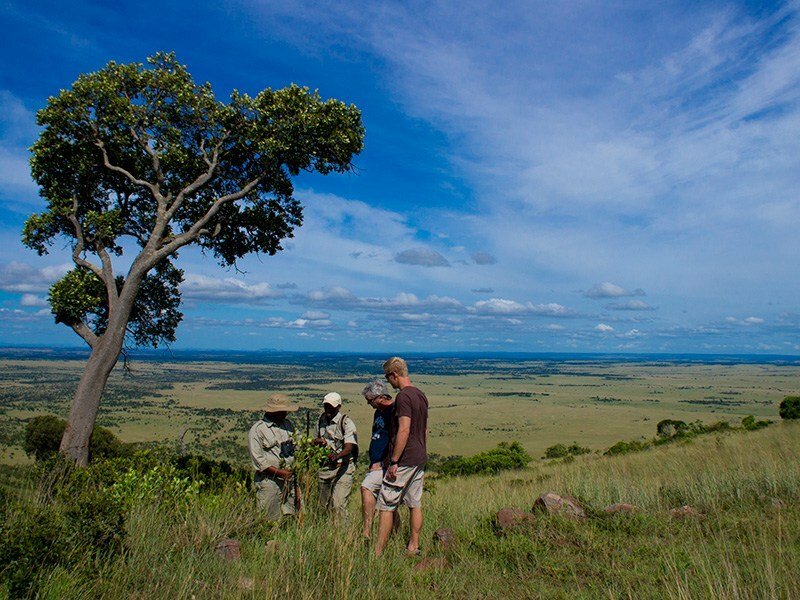 This area has a fantastic concentration of game and because of the constant supply of water, you will get a good chance of game viewing throughout the changing seasons. This region is great to visit all year round because of the ample supply of water from the Seronera River; spotting game will be easy through dry and wet seasons. From Central Serengeti, you will also be able to witness the Great Migration’s move back down South during November and December. If you’re set on witnessing the phenomenon of the wildebeest herds during the Great Migration, this is a great location as it follows the path of the Grumeti River (all the way to Lake Victoria) where you can witness the herds crossing the river to get to new pastures. 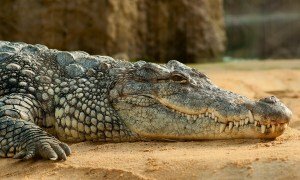 The best time to visit this region is from May to late June / mid July when the herds may be seen crossing the crocodile-infested waters of the Grumeti. The North of the Serengeti is hugely popular due to the high-quality campsites and also because it is by far the best place to see the herds of the Great Migration. 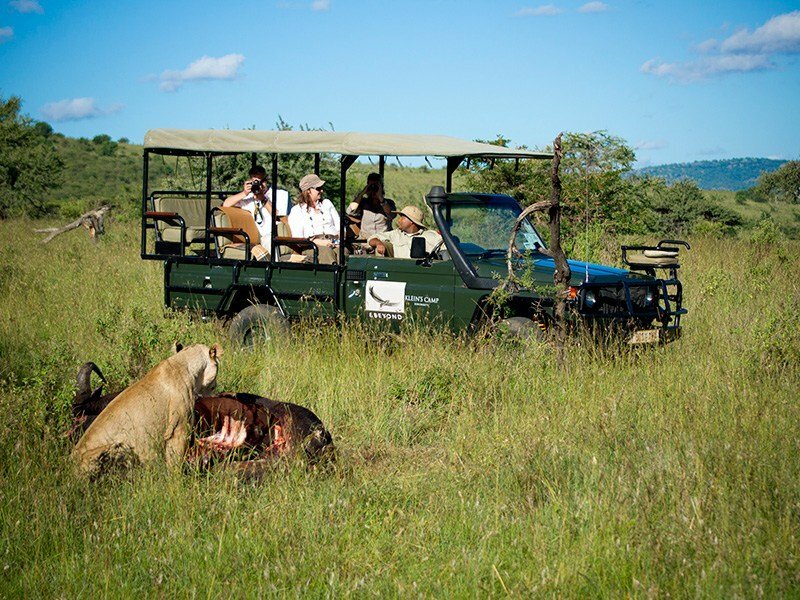 The North is also the chosen region for safari aficionados because it’s one of the finest regions for a walking safari as well as driving. Visit between July and October when the migrating herds become residents in the North – and you can also watch the Mara River crossings daily. Renowned for the endless stretch of short grass plains, the Southern region includes the Southern Seronera and the Ngorongoro Conservation. During the migration season, this is a great place for game viewing. Make sure you visit between December to April when the herds take over the entire area. If you visit in February, you will also be right on time for calving season. Serengeti National Park is one of the cheapest national parks in Tanzania. Not only can you expect a very reasonable entry fee compared to other parks, but you can be guaranteed great value for money with the high possibilities of game viewing. Home to the Great Migration and four fantastic regions, wildlife is truly abundant. Herds of wildebeest are some of the biggest attractions for safari goers at Serengeti. The migration is best seen in the Northern region between July and October. 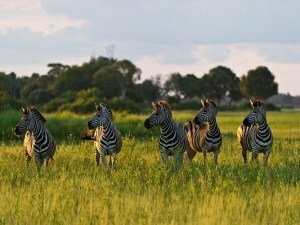 Zebras are also seen during the migration; although not as prominent within the wild stampeding herds over the Mara River, they are still there in their millions. 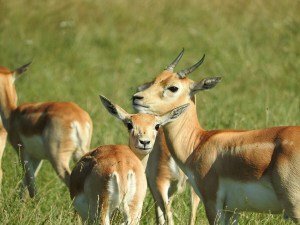 Both Grant’s Gazelle and Thomson’s Gazelle can be spotted during migration season. Out of season, you can spot these animals at watering holes and rivers. 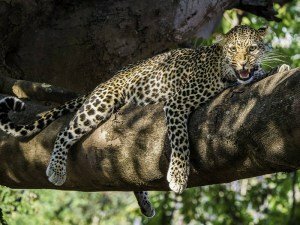 The leopards can usually be seen along rivers or hidden within the dense woodland areas of the Serengeti. After preying on their food, they will retreat to wooded areas to feed and rest for days – so they can often be hard to spot. The Serengeti is a great place to spot lions and it’s also home to George Schaller’s Lion Project which started back in 1996. Lions can often be seen hunting during migration season or taking shade in the woodlands. These wild cats are extremely fast and streamlined in their movements so it takes great patience to be able to spot them. 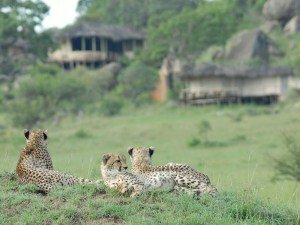 But Serengeti is home to one of the biggest cheetah populations in Africa. 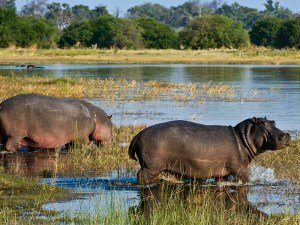 Hippos can be seen bathing in the Mara River and the Grumeti River so sightings are extremely common all year round. During dry season, be sure to visit the park’s rivers, streams and watering holes. The Mara River is infested with hungry crocodiles, making it a dangerous place to cross during the mammal migration. These crocs can be spotted all year round but are much more prominent between the months of June to August when herds of wildebeest, zebra and gazelle are migrating to the North across the river. There are also a great number of birding opportunities. 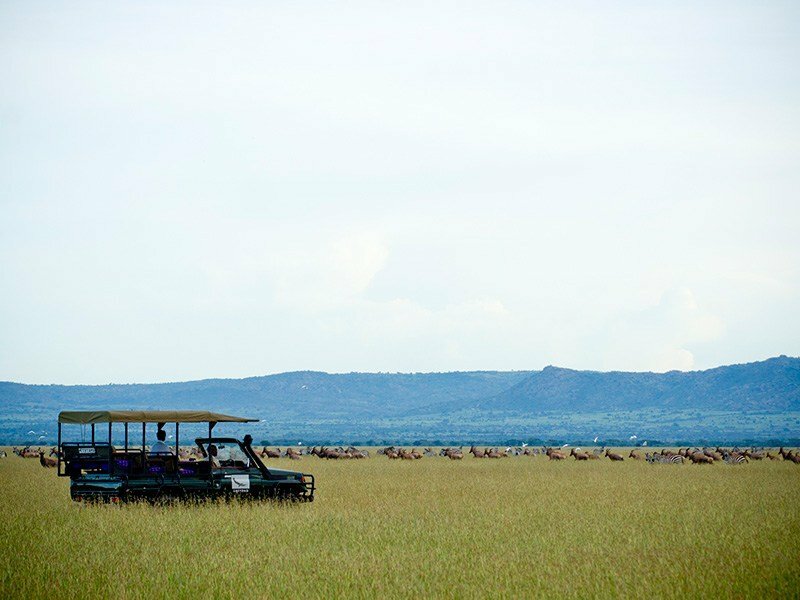 We hope you have found our detailed guide to visiting the Serengeti useful. To find out more about Tanzania and other parks, please take a look at our destination guide online. To book your trip or to speak to a travel advisor, please call 01342 811787 or email our team on info@signaturesafaris.com.